WASHINGTON, DC, July 24, 2016 (ENS) – The Mingo Logan Coal Company has lost another round in the long legal battle to obtain a U.S. government permit for the Spruce No. 1 mine in Logan County, West Virginia, high in the Appalachian Mountains. The U.S. Court of Appeals for the District of Columbia Circuit has upheld the 2011 decision by the head of the U.S. Environmental Protection Agency to block a permit for the mine issued by the U.S. Army Corps of Engineers, due to what the EPA called the “unacceptable” environmental harm it would cause. First proposed in 1997 by Arch Coal Inc. of St. Louis, now going through a financial reorganization in bankruptcy court, the Spruce No. 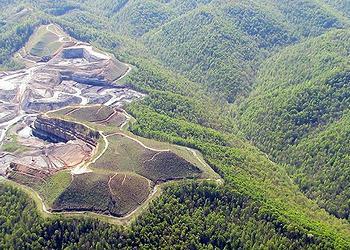 1 operation was to cover 2,278 acres, one of the largest mountaintop removal mining ventures ever proposed in Appalachia. Writing for the majority in this 2-1 decision, issued July 19, Circuit Judge Karen Lecraft Henderson began with the classic definition of mountaintop removal mining. “In 2007, the United States Army Corps of Engineers issued Mingo Logan Coal Co. a permit to excavate the tops of several West Virginia mountains, extract exposed coal and dispose of the excess soil and rock in three surrounding valleys containing streams,” she wrote. Earthjustice and Appalachian Mountain Advocates submitted a brief in support of EPA on behalf of West Virginia Highlands Conservancy, Coal River Mountain Watch, Ohio Valley Environmental Coalition, and Sierra Club, defending the EPA’s decision to veto the permit. As a result, a 1999 injunction was issued against the first permit authorization. After the Corps reissued the permit in 2007, despite EPA concerns, the environmental agency completed an extensive review of new scientific information and 50,000 written public comment letters. Shawn Garvin, EPA Mid-Atlantic regional administrator, issued a recommendation in October 2010 against permitting Spruce No. 1 because the mine “would likely have unacceptable adverse effects on wildlife.” The EPA revoked the permit on January 13, 2011. The coal industry and the state of West Virginia challenged the decision, asserting that EPA could only block a permit before issuance – although the law specifically gives the EPA the authority to veto a mining waste discharge “whenever” it would have adverse environmental impact. A federal district judge sided with the coal industry, but was overturned by the U.S. Court of Appeals for the D.C. Circuit in 2013. The U.S. Supreme Court declined to take industry’s appeal, making the D.C. Circuit’s decision the last word affirming EPA’s ability to protect clean water, wildlife and communities. The case was sent back to the district judge to determine if the EPA’s decision was arbitrary and capricious or unlawful in any other way. The judge ruled the decision was lawful, reasonable and supported by the scientific findings presented in the agency’s 2011 Final Determination. Now, the D.C. Circuit has affirmed the district court and rejected another appeal by the coal company. “EPA properly relied on over 100 scientific studies to veto a mine the size of downtown Pittsburgh that would have buried one of the last remaining high-quality streams in the Coal River watershed,” said Jim Hecker, attorney with Public Justice. 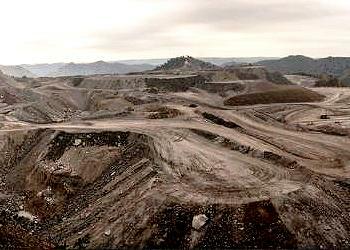 But the local West virginia environmental group says the mountaintop removal is far from done. “The Court’s action today is critical to protecting the people of Appalachia and our water supplies from what would have been one of the most harmful mountaintop removal coal mining sites in the history of our region,” said Bill Price, an organizer for the Sierra Club based in West Virginia.